CareOffice includes complete Patient, Doctor, Billing, Service Codes, and Diagnosis Codes databases. The patient database provides quick access to a patient's medicare number, various telephone numbers, address and much more. Also included, is the referring doctor database which stores information like physician number, address, and voice and fax numbers. 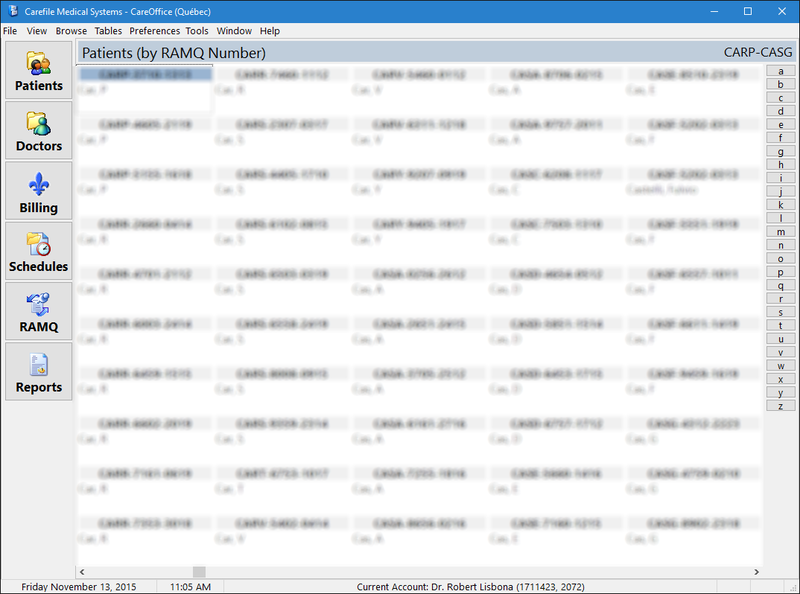 The complete databases of all billing and diagnostic codes are also included in attractive look-up tables. The tables can be searched by code number or code description. CareOffice now gives you the ability to completely integrate your schedule with any mobile phone via CareSync. With CareSync installed, you can send your daily or weekly schedules to your mobile phone's calendar with the click of a button. This feature can be a tremendous time-saver for both physician and clerical staff. At the moment, CareSync only supports one-way synchronization to your mobile phone but it is expected that future releases will support full two-way synchronization. CareSync is an optional add-on module to the CareOffice, CareBiller Windows, and CareBook Windows packages and supports any Apple or Android device. You can also print patient demographics, patient ID or address labels, doctor address labels, as well as patient and doctor envelopes (several label and envelope types are supported). CareOffice goes to great lengths in order to simplify the creation and maintenance of your Medicare (Quebec or New Brunswick) and Private billing. For instance, submission and reconciliation is completely automatic. You simply press the submission button and all claims since your last submission are sent via modem. Your submission's error report (Quebec) will be available the very next morning. Reconciliation is also a one-button operation. Press it and your statement of account is quickly transferred from the Régie's/Medicare's computers. 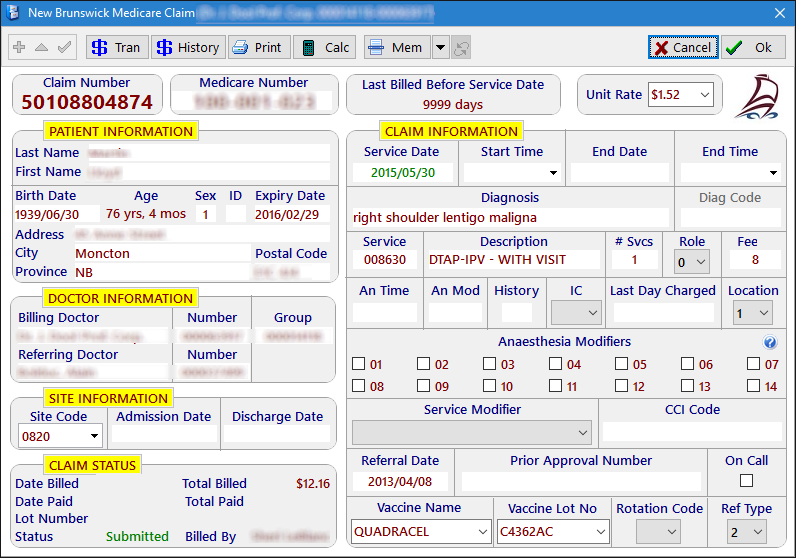 CareOffice will then automatically reconcile your claims. Another nice time saving feature is CareOffice's ability to 'memorise' a claim for very common or frequently repeated types of bills. 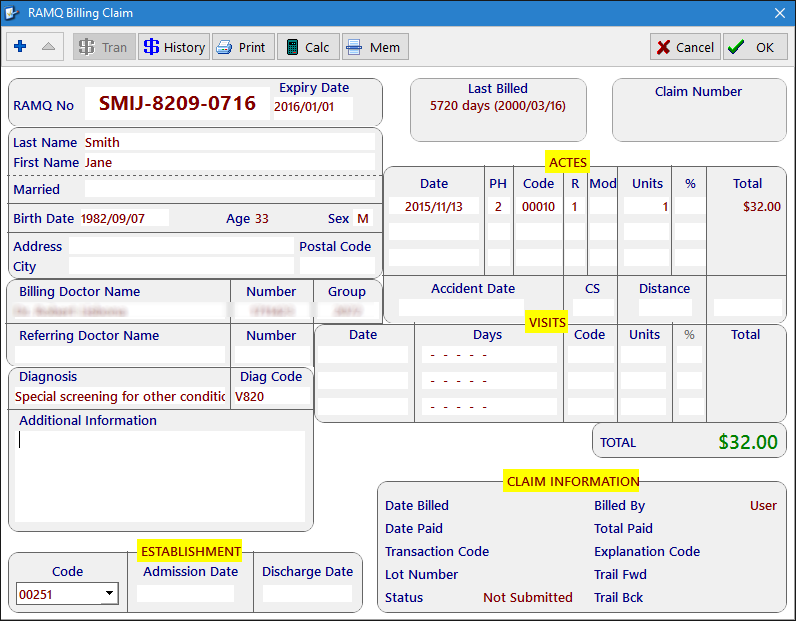 Using this feature, you can easily create claims with only a few clicks of the mouse. 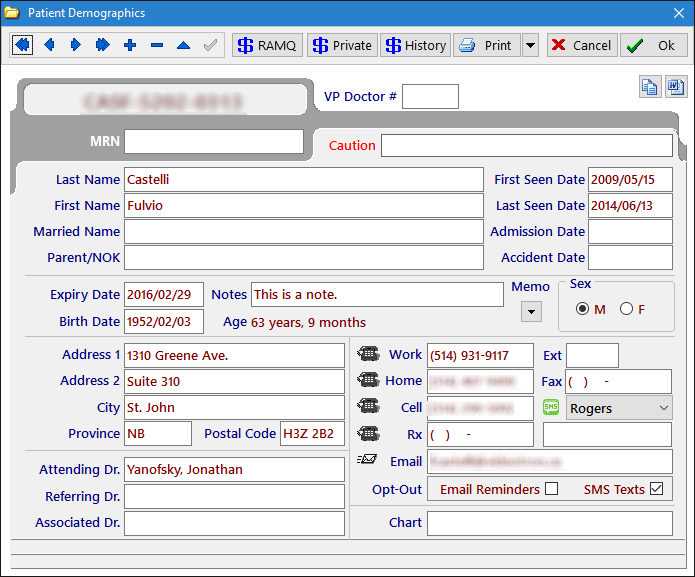 CareOffice will store all claim information, along with patient and doctor data, on your computer allowing for complete report generation as well as for performing retrospective studies (via CareView). All statement of account and reconciliation reports are also kept online for future reference. 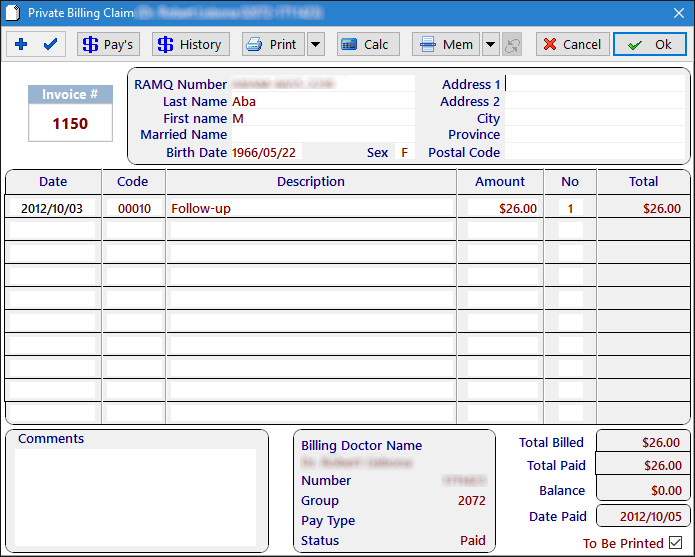 CareOffice will also produce invoices and receipts for private billing. CareOffice will allow you to enter and manage appointments for any given doctor or group of doctors. A user can manage an unlimited number of schedules and multiple displays at the same time. Appointments can be copied, rescheduled or cancelled at the touch of a key. They can also be copied and/or moved between any two schedules. You can select a display date simply by clicking on a very handy calendar. You can move forward or backward a day, week or month at a time. A printout of any day's schedule can be made. There is no limit to how far in the future appointments may be scheduled. 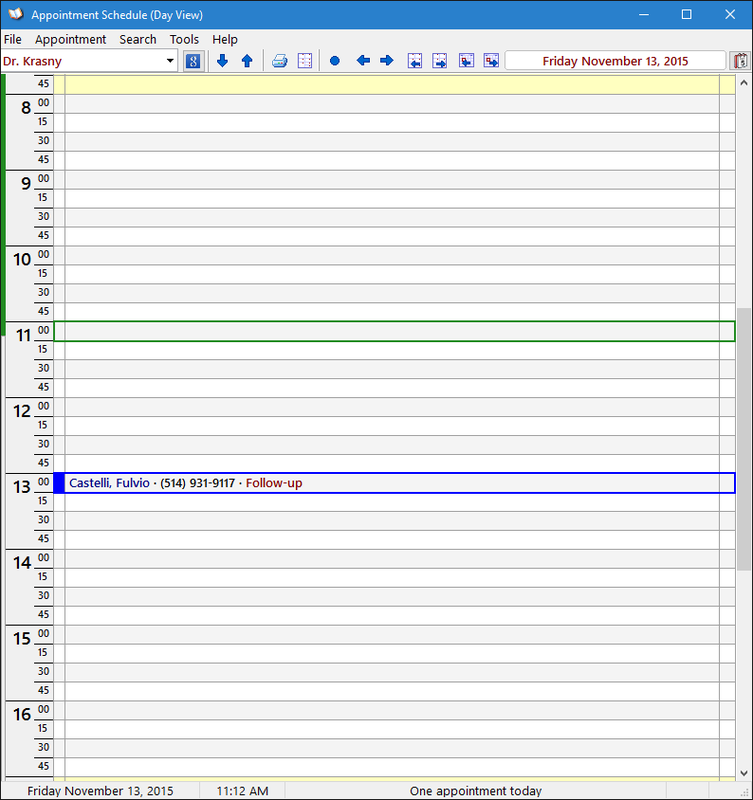 A very handy scheduling template allows you to define the active times of the week for any particular schedule. The "week-at-a-glance" feature can be used to provide a quick look at a physician's work load for any given week.